THE NEW BLACK SEVEN CREATE A NEW VINTAGE WITH THEIR LATEST TRACK, "She Don't Like Me (When I'm Drinking)"
Former rock and roll journeymen turn their sights towards the past as they blend the raucous nature of country with the melody of classic rock with the release of their latest single She Don't Like Me (When I'm Drinking). 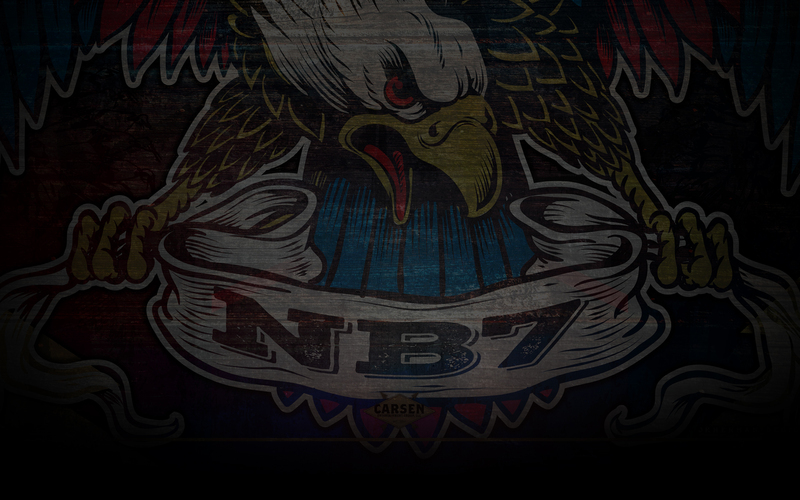 (Midwest U.S.A. - March 2017) – The New Black Seven are the Heartland: loud, honest, pure and full of energy but also tempered by a heavy sense of melody and introspection. Their firebrand country is saddled in the roots of the 60’s and 70’s longhaired country revolution as well as the tunefulness of today’s modern dynamic. 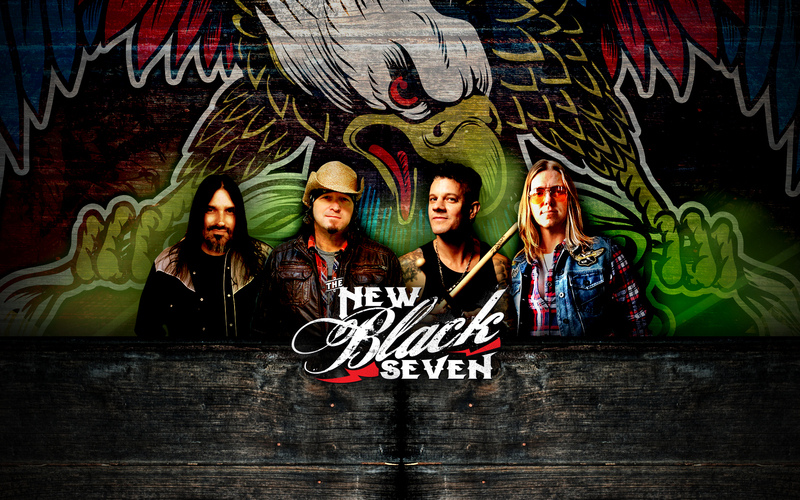 From top-down highway songs to tailgate love affairs, The New Black Seven deliver country rock juju that contemporary acts like Blackberry Smoke and Eric Church are using to help spread the gospel, that country is ready to be country once again. And to fan the flames of this resurgence, the band drops their newest single, “She Don’t Like Me (When I’m Drinking)”, Something that all of us can relate to when one leads to twelve and when you return home your stuff is scattered in the front lawn . The track drops March 17th via iTunes, Google Play and Amazon and comes from their upcoming forth album, yet to be titled, on Route 3 Records. Formed initially in 2010 by guitarist/vocalist Tory Stoffregen and drummer Brentt Arcement, they released the Ep The Old Becomes The New, a blend of roots country, blues, rock and fireside ballads. Soon thereafter guitarist Jason K. Herman joined the ranks helping to solidify the band’s centerpiece and give their dueling guitar harmonies a rock-oriented approach. Already a seasoned live band as all three players had logged in the years with touring rock acts, and it was time to put that experience into a new set of tracks for their debut album Hangovers & Heartbreak (Vanity Music, 2013). Produced by Stoffregen and mixed by noted engineer Cedrick Courtois (Beyonce, Destiny’s Child), The New Black Seven took their modern approach to country testimonials to another level led by the raucous single,“Crazy All Over Me”, a tale of love gone way, way wrong. Filled with big guitars and big choruses, the track caught the attention of regional radio leading the way for other tracks like “That Don’t Sound Country”, an homage to the deep musical roots that Jason Aldean could cut his teeth on. Not ones to just look for the good times, “Fly Me To Freedom” found the band utilizing slide, piano and violins to anchor themselves to Stoffregen’s tender baritone ballad about time passing and letting go. The band’s evident rock side came shining thru on “Outlaw” a dirty road number custom made for pool halls and arenas alike, while the straight between the eyes “Can’t Go Home” is pure Lynyrd Skynrd, tough soul with a heart of gold. 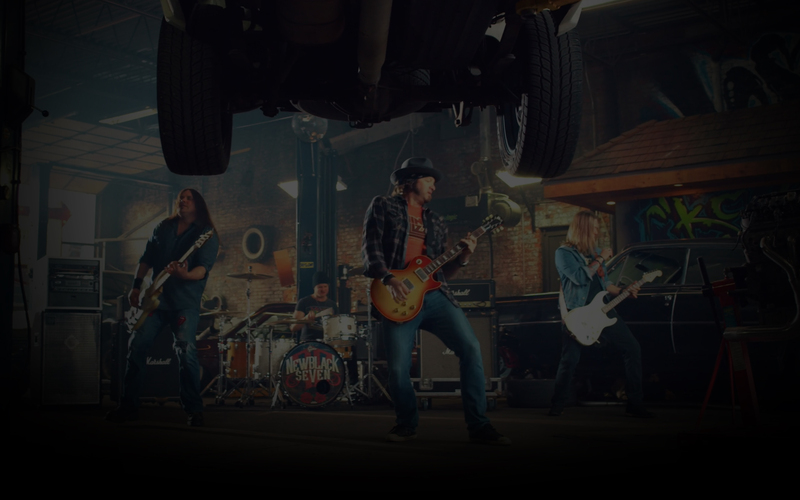 In addition, the band turned the Mötley Crüe classic “Kickstart My Heart” on its head, giving it some major country horsepower. 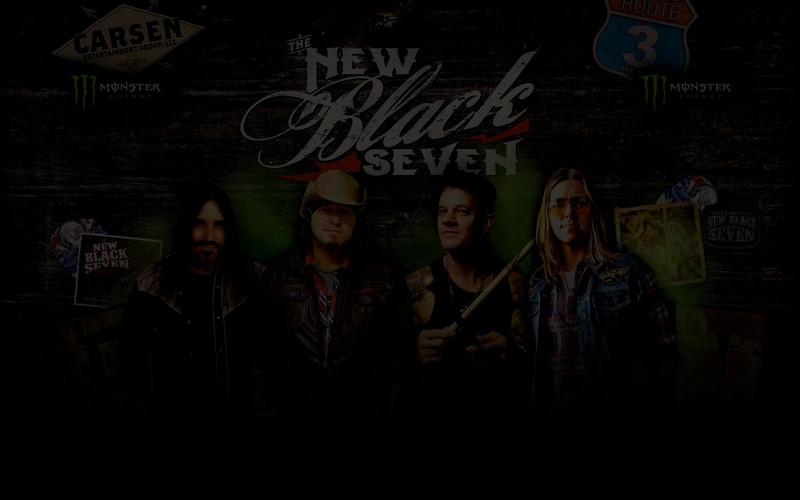 Guitarist Jason K.Herman explains, “The H&H sessions were a real pivotal point in the New Black Seven. Especially for me being the new man in the song-writing circle. It was so easy to write with these two guys and the musicianship of being able to play multiple-instruments made us expand on so many ideas, it was a great launching point for where we’re at today”. Continuous gigging in support of Hangovers & Heartbreak ensued as well as showcases at NAMM and shared bills with everyone from Rick Springfield and Tesla to Blake Shelton and Carrie Underwood proving that they can take the stage with any act that shares in their love for big melodies and timeless sounds. The band currently finds itself in the studio preparing their 4th release on their own Route 3 Records. Having released 3 singles from it thus far, the response has been great. “We worked with Wade again at Chandler Limited on 80% of the first single WE’VE GOT TONIGHT, and then ventured to Nashville to finish it up with Grammy winning producer Ryan Hewitt”, states Jason. 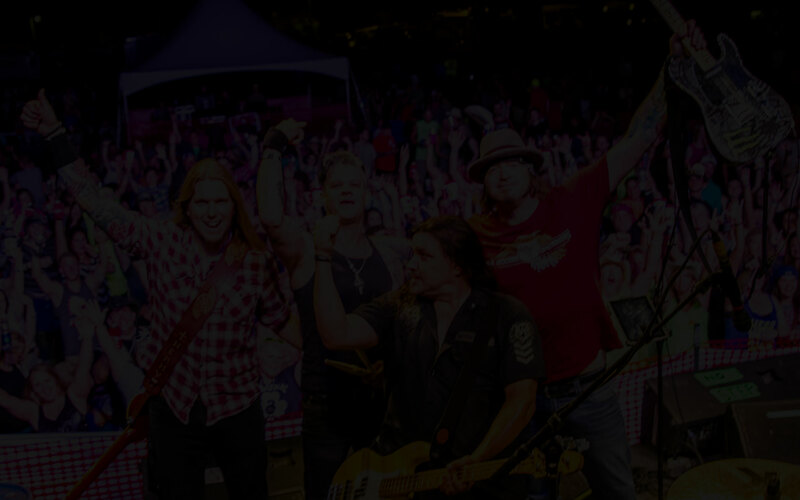 The album will be a continuation of the band’s sounds thus far: rowdy country, melodic rock influence and open-hearted moments that will help solidify the band’s commitment to deliver a record that will have something for everyone while allowing them to share the stage with a broad cross-section of acts. “Our live show continues to evolve with every show. We spent a lot of the year writing, and peppering in shows where they fit. Now with 3 albums in the bucket, we’re ready to go out and give people one hell of a show” remarks Herman. I think our songs fit into every spectrum. If you'd like to contact the band, please do so here. Thank you.